Getting US attention for the Caribbean: Must it be chaos? The governing People’s Progressive Party/Civic (PPP) and the opposition parties in Guyana are locked in a unique governance struggle in which two combined opposition parties command the majority in the legislature and, thus, can block legislation introduced by the government. 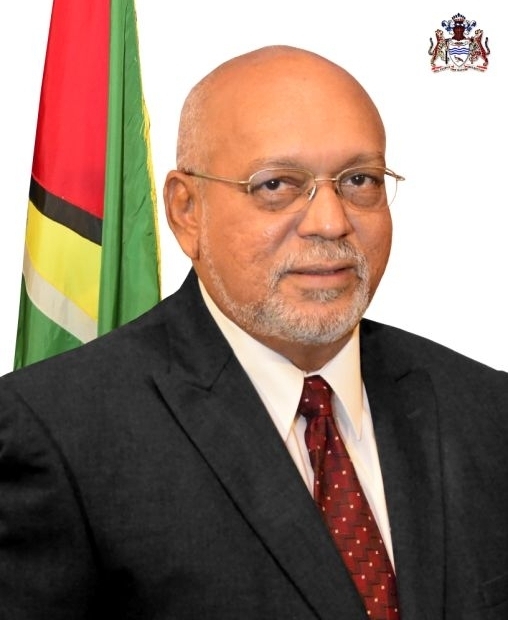 The PPP’s Donald Ramotar was elected President of Guyana by a plurality of votes in November 2011 general elections, but the party failed to win an overall majority in the legislature. Since then the country has had to experiment with a novel model of democracy because the elections produced no overall winner and, therefore, there has been no winner “taking all”. Instead, the government and the two parties that comprise the opposition have had to bargain with each other to accomplish a legislative programme. The two opposition parties in the legislature are: A Partnership for National Unity (APNU) and the Alliance For Change (AFC). APNU is itself a coalition of political parties, mainly the Peoples National Congress (PNC) and the Working People’s Alliance (WPA). In combination, APNU and the AFC have a one-vote majority over the governing PPP and they have used the one-vote majority to stop government legislation and spending to which they object and to demand changes that they favour. The process has been acrimonious as each party tries to win public support for its positions. In time, this period of Guyana’s governance will be an interesting and instructive study for scholars of governance, politics, democracy and constitutions. It may, in fact, point to new ways and more democratic forms of governance not only for Guyana but all Caribbean countries. Right now, however, the newness of the situation and the rawness of the inter-party bargaining in the legislature and in the court of public opinion are too urgent to allow for sober reflection and beneficial refinement of a system that may come to be the norm in Guyana. That system could be one in which no political party ever wins an overall majority in the legislature and bargaining, comprise and a real effort at consensus among elected parties become the standard. In other words, no one political party would be able to rule the roost and inter-party bargaining in the legislature would become the mechanism for national policy setting and budget allocations with the government as the implementing machinery. None of the political parties in Guyana’s legislature will ever stop hoping for an overall majority and, undoubtedly, each will continue working toward that objective. To do so, there will have to be a radical change in the politics, policies and programmes of the PPP and PNC. Historically, the PPP has cultivated its principal support among the people of East-Indian extraction while the PNC (the main party in APNU) has sought its main backing from the people of African ancestry. Neither of these two main ethnic groups in Guyana is now numerous enough to give either party an overall majority; each would have to broaden its base significantly and that process will take time. Even if the process is launched now, it certainly won’t produce benefits for the next general election due by November 2016. The success of the AFC in securing representation in Guyana’s parliament is an indicator that there is a substantial number of people who see little national benefit in race-based politics. The younger generation of Guyana (and there is now a significant number of the population under 35), show a greater tendency not only to racial tolerance but also to integration. Like everywhere else, they also want change from the entrenched political system that has dominated the country. The experiment in Guyana of a ruling party that does not control the majority in the legislature is experiencing its most severe test so far over Anti-Money Laundering and Counter Terrorism Financing legislation. The Guyana government is required to achieve the adoption of this legislation by Parliament as the initial measure to avoid the country being black-listed by the Paris-based Financial Action Task Force (FATF) for non-compliance with rules that have been accepted by the powerful governments of the world, including China and India, as international criteria. As a former Chairman (2003-2004) and Vice Chairman (2001-2002) of the Caribbean Financial Action Task Force (CFATF) that conducted a review of Guyana’s situation and found it deficient, I understand fully the adverse implications for Guyana’s financial services sector, businesses, and even ordinary citizens of the legislation not being adopted as a first step in a raft of compliance machinery that Guyana is required to implement. The passage of the legislation is enmeshed in the power struggle between the governing PPP and the two opposition parties in the legislature. All parties recognise the importance to the country of Guyana not being designated as “non-cooperative” and, therefore, blacklisted internationally. The opposition parties are, therefore, pressing the government to deliver on demands they have made that are not related to the anti-money laundering legislation (although some amendments have been suggested) as the principal condition of agreeing to it. The government on the other hand is relying on both international pressure and the rightful anxiety of the private sector to cause the opposition parties to pass the legislation without their ancillary demands being satisfied. Each side blames the other for the legislation not being adopted and representatives of each party have imputed links to drug traffickers as the motivation for the other’s failure to pass the law. The financial services sector, businesses in Guyana and any member of the Guyana public who sends or receives money from abroad, including Canada, have genuine cause for concern. The Guyana economy could itself suffer a setback. At the time of writing, the negotiations between the government and the opposition show no sign of an early resolution. These negotiations will be the biggest test of the political parties to operate Guyana’s new form of democratic governance in the national interest. It is time for maturity on all sides to work for balance and compromise.